We are delighted to announce we will be hosting our Spring event at the Royal Victoria Country Park (RVCP) in Netley Abbey. 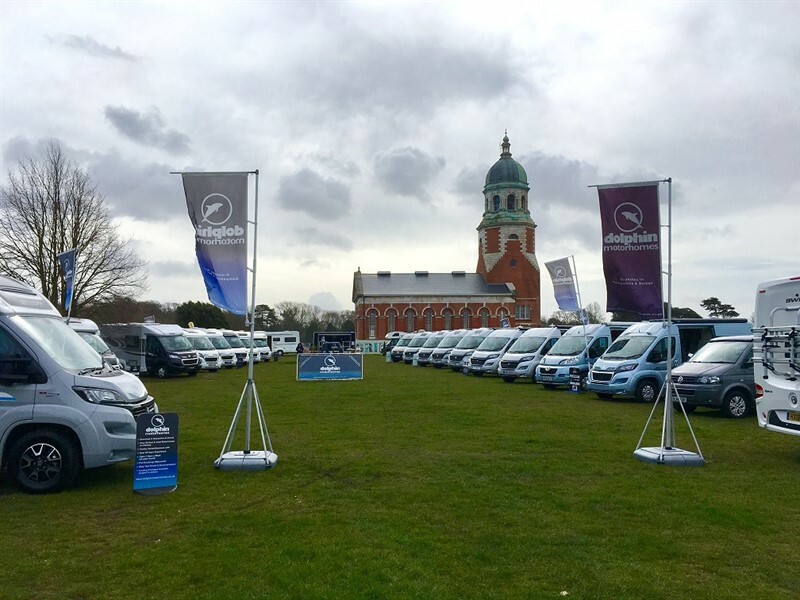 Taking place from Friday 22nd to Sunday 24th March, we will be showcasing a selection of our new and used motorhomes and we would love for you to join us. View a wide range of motorhomes which will be on display along with manufacturer demonstrators and support and take the time to speak to our knowledgeable sales team. Plus take the opportunity to test drive any of our vehicles. Visit us for the day on any of the three days. No booking is required. We will be hosting food and entertainment on the Saturday night and invite you to join us. The RVCP is home to the Royal Victoria Hospital that was built in 1856 and served the British military for over a century. After a £3.5m conservation and restoration project, you can now climb the 109 steps to the top of the tower and marvel at the spectacular views over Southampton, or visit the new exhibition that brings to life the history of the military hospital. There is a children's play area, tea rooms, miniature railway as well as plenty of beautiful space for walks all overlooking Southampton Water.